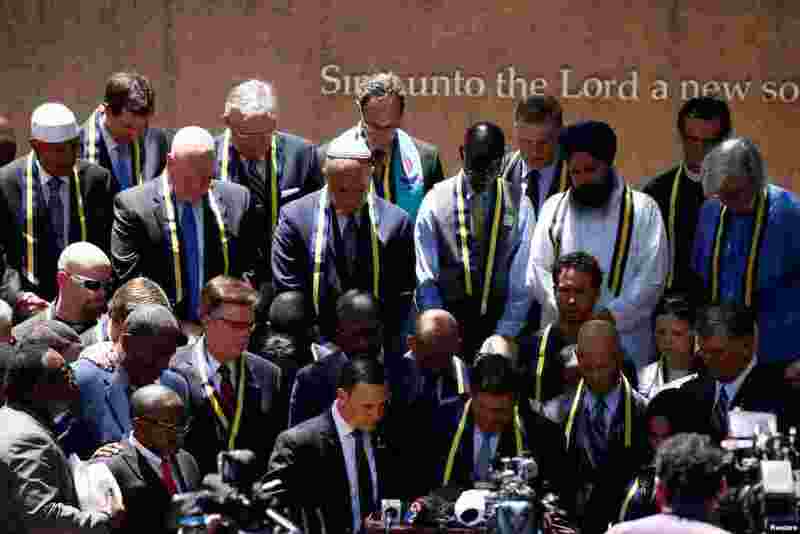 On Friday the city of Dallas began mourning the deadly ambush on its police officers with makeshift memorials, prayer vigils and a swift outpouring of emotional reaction from political leaders. 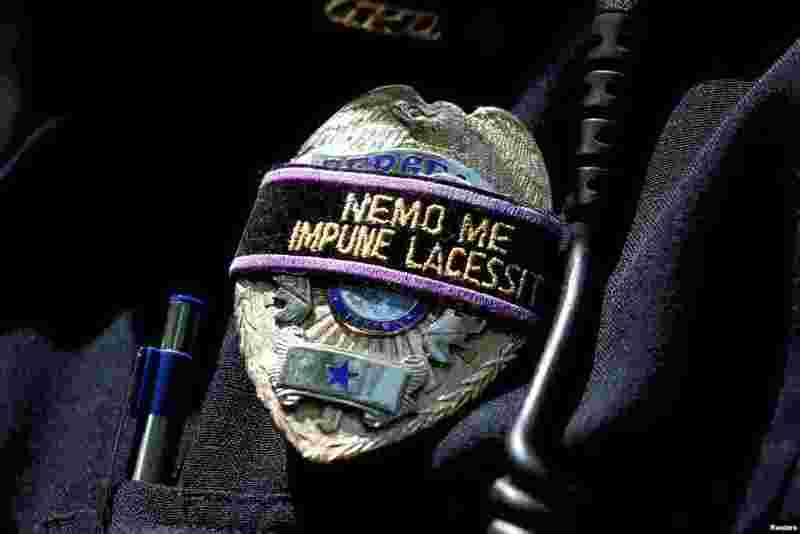 5 A Dallas police officer wears a mourning band on his badge that loosely translates to "No one can harm me unpunished" during a prayer vigil in a park following the multiple police shooting in Dallas, Texas, July 8, 2016. 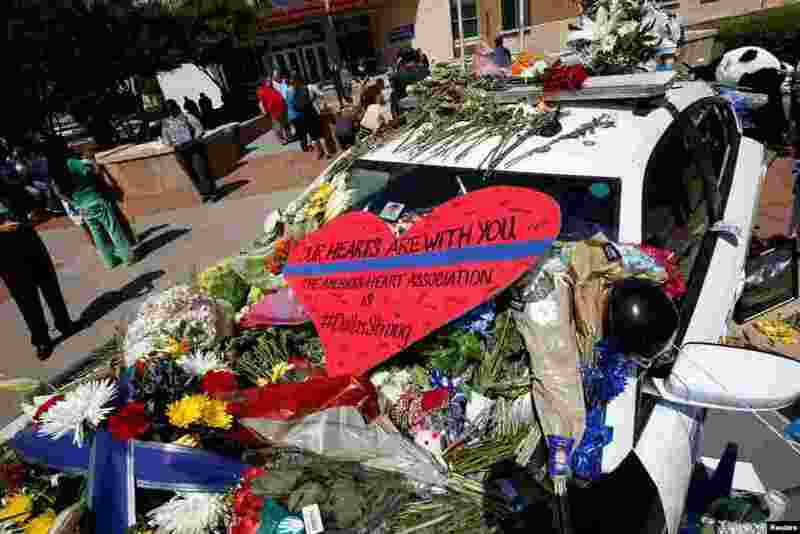 6 A heart is placed on a police car that makes up part of a makeshift memorial at police headquarters following the multiple police shooting in Dallas, Texas, July 8, 2016. 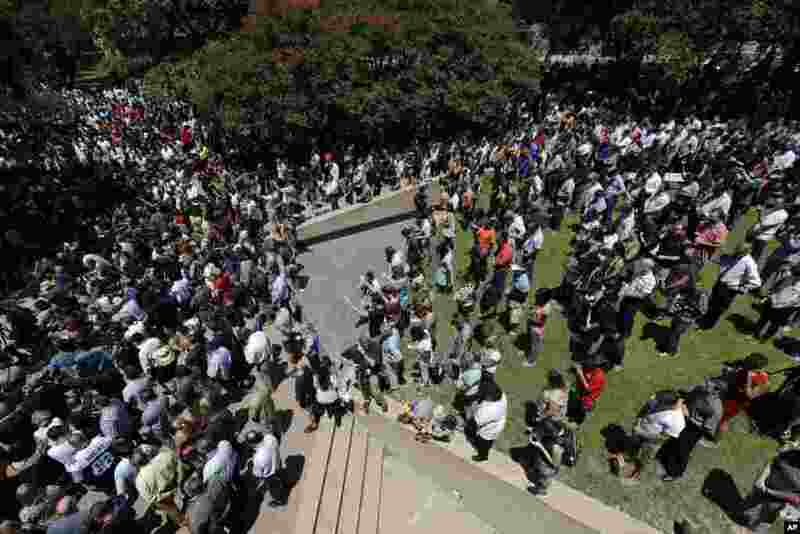 7 People take part in a prayer vigil at Thanksgiving Square, July 8, 2016, in Dallas. 8 Interfaith leaders take part in a prayer vigil in a park following the multiple police shooting in Dallas, Texas, July 8, 2016.